It’s not often that I find products from the land of my birth so when I found the Africa Organics brand as I was browsing on Love Lula, I was instantly intrigued and of course had to try them. And they are rather special. At the moment the range is quite small consisting of shampoo, conditioner, body wash and body lotion. They have wonderful names that bring back memories of growing up in the dusty bushveld filled with flora and fauna with exotic names. 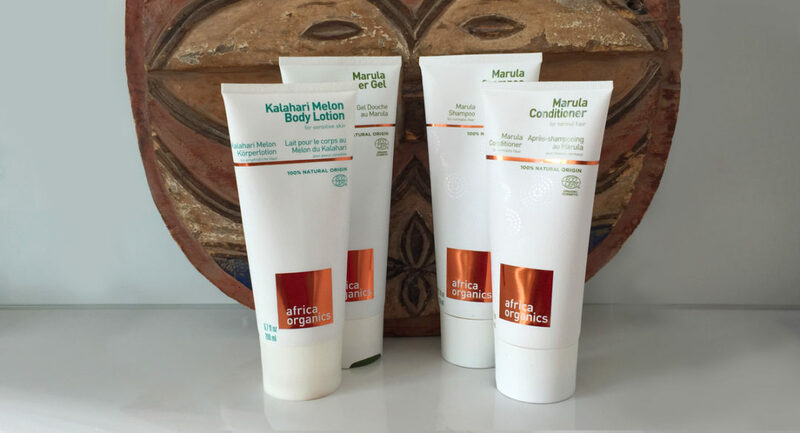 I was instantly drawn to the Kalahari Melon Body Lotion having shot a documentary in this large southern African desert a few years back. I didn’t even know there was a Kalahari melon to be honest. I can now tell you it smells delicious with a subtle sweet fruity scent. The best part of Africa Organics is that the range has serious ecological and organic credentials, with all products vegan and cruelty free and 100% of natural origin. They use wild-harvested African plants (and Africa has some seriously potent and magical plants) helping to maintain biodiversity and paying fair wages to the rural communities doing the harvesting. In fact South Africa has a quarter of the worlds plant species. Wild harvesting them gives you the full potency of these plants. Africa can be a harsh place and many plants have to adapt to adverse conditions giving them incredible protective properties. Some of them are the stuff of legend. 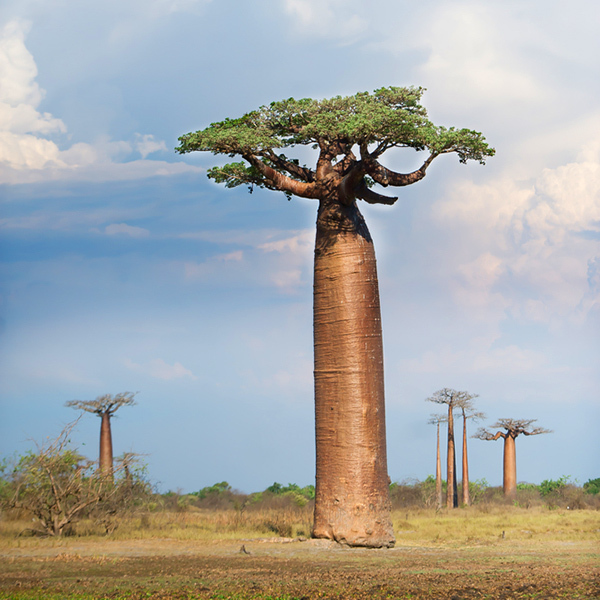 Take the Baobab tree. This extraordinary looking tree takes 200 years to bear fruit!! Fortunately Africa has many of these trees and they are being harvested well within the sustainability range. The packaging of the products is rather sleek and sophisticated (although completely recyclable). The actual contents feel earthy, fresh and natural. A farmers market compared to a supermarket. They have a home made feel (which in a way they are) and you can sense the rawness of the ingredients. The Marula Shampoo I used was quite slippy and I had to slap it on my head as quickly as possible. But the result was worth it. I followed with the Marula Conditioner and my hair felt nourished, shiny and glossy. The shampoo has biodegradable foaming agents and contains rooibos and mint oil. The Marula Body Wash had a very minty flavour to it and is a great perk up in the morning. Now I just need to get my hands on some of their Baobab products!